Do you want to install or repair mortise locks for your residential or commercial property? Mortise locks are door locking systems used when entryway security is a high priority. Since they fit entirely inside the door into a shaped cutout pocket (or mortise), it is very difficult for intruders to force the lock or pick it open since the mortise lock system is cut into the door edge with only the faceplate visible when the door is opened. Mortise locks may be locked with a key from either the inside and outside to release or engage the deadbolt providing a sense of security for those inside. They were very popular in the early twentieth century and are returning to widespread use today. Passage door mortise locks may also be installed for interior rooms that must remain unlocked like children’s rooms. King Door and Lock recommends mortise locks as the best garage door locks for wooden garage doors. Though the mortise installation is challenging by just about anyone other than a professional locksmith with high tech equipment and tools, they are still one of the top choices of people for their door locks. If you have a mortise lock that needs repair or need a new one installed, we can help you with up front pricing. 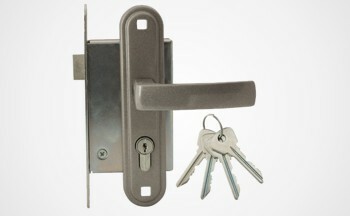 At King Door and Lock Maryland and DC, we install and repair residential locks and commercial locks. We are an established door and lock company providing 24/7 door lock services, 365 days per year. We offer lock installation, repair, and replacement services for all of Maryland, Washington DC and surrounding areas, and fast and friendly service with up front pricing. Many people enjoy the decor of the early 20th century when these classic mortise locks were on every door. We offer a wide variety of mortise lock styles (modern, rustic, contemporary, traditional, etc.) and finishes (nickel, chrome, brass, etc.) to choose from to match the decor and style of your home or business. We provide professional, honest, dependable service and competitive pricing from the most experienced technicians in this field, each with at least five years’ experience. Each one is very knowledgeable regarding all types of residential locks and commercial locks. Call us for 24/7 door lock services and our experienced, fast and friendly lock technicians will be on their way just as soon as you hang up your phone, ready to install and repair mortise locks with up front pricing. Our symbol is the crowned lion, representing vigilance, and the royal quality of service we provide our customers. It is our goal to provide fast and friendly mortise lock installation and repair, assisting customers in being ever vigilant against the invasion of their private or commercial property. We are only a phone call away. Call King Door and Lock Maryland and DC today for your free estimate! 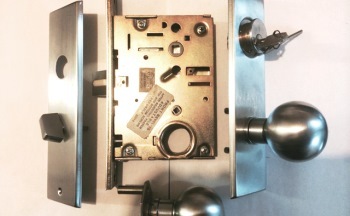 Mortise Locks https://kingdoorandlock.com/mortise-locks/ 4.4/5 based upon 13 reviews.